I have taken AP Physics 1 in may 2014, and I received a Three. I realized after that that my studying process was off. I would always study the math, the equations, and the numbers of physics, but never the concepts - so once it came to the multiple choice, I was a failure. 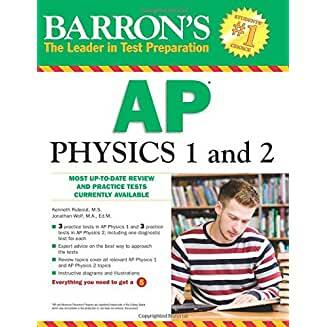 Now, I am studying for AP Physics C, and also AP Physics 2, and i can tell you this book is pretty good. 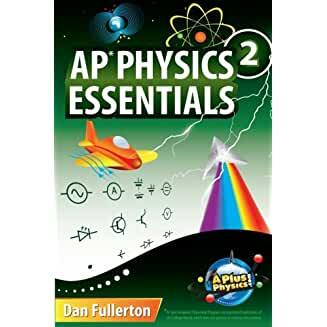 I am understanding the concepts behind the gas laws, the constants of pressure and volume, and also the electricity and magnetism part is a good intro before you pull out the real AP Physics C book with calculus. Remember, formulas are great, but trust me, the AP physics multiple choice questions are more about the concepts underlying physics than mathematical problems. I believe this book does a little bit of both, and i would recommend it to most people. I would also recommend Cracking the AP Physics C Exam, 2015 edition. If i had studied the concepts, i most likely would have received a 4. I am working towards that 5 on AP Physics 2, and at least a 4 on AP Physics C: Mechanics. This book contains a lot of helpful information. This book help to better understand AP Physics 2. Highly recommended. This book has the entire ap physics 2 curriculum, every topic is covered fully and in detail. I purchased both the prep books for AP physics 1 and physics 2. I am extremely happy with both books. Each covered all the topics tested. It was great to use the diagnostic tests before studying the chapters. The chapters had many questions that let me learn the material. The step by step and detailed explanations are what makes this book so great. Friends were using my book and ignoring their study material because they saw that these two AP physics 1 and 2 books were superior to their books from other authors. Really targeted my studying. I was able to gain confidence from all my practice, learn the concepts and be very efficient in my study time. I did great on both exams. Thanks to Sterling the tests are behind me and I have the scores I hoped for. I am a high school science teacher and I recommend this book. This book is very good because it has a great variety of questions with explanations and detailed solutions to the problems. The questions are designed well because they require the student to understand the concepts to master the material. The explanations illustrate the topics needed for AP physics 2. By using this book, it is easy to understand the concepts tested and then to follow the solutions. The solutions allow for significant learning of the topics. I like that the math to solve the problems is included and easy to understand. I have recommended the book to students and they have had good results. Students seem to like using the book to reinforce practice for class and to prepare for the AP exam. Great book for AP physics 2. The diagnostic tests are great because they were representative of my understanding of the material. Different than other books my friends owned, they are a great tool in the book. I learned from the detailed explanations to the questions. The large number of questions allowed me to focus my studying. 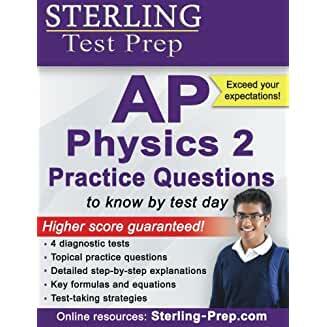 I did great on the test and was much better prepared by using this book for the AP physics 2 test. I am glad I used this book to do well on the test.